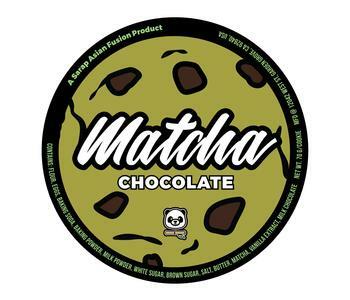 Sarap Asian Fusion of Garden Grove, Calif., is recalling Miso Milo, Matcha Chocolate, Black Sesame and Ube Cookies and Cream Asian Fusion Cookies. The products contain wheat, milk and soy, allergens not declared on the label. The recalled products were sold from August 14,2018 – September 10, 2018, in heat-sealed, polypropylene bags through online mail orders in: Alaska, Alabama, Arkansas, Arizona, California, Colorado, Connecticut, Delaware, Florida, Georgia, Guam, Hawaii, Illinois, Indiana, Kansas, Kentucky, Louisiana, Massachusetts, Maryland, Michigan, Minnesota, Missouri, North Carolina, North Dakota, Nebraska, New Hampshire, New Jersey, New Mexico, Nevada, new York, Ohio, Oklahoma, Oregon, Pennsylvania, Rhode Island, South Carolina, Tennessee, Texas, Utah, Virginia, Washington, Wisconsin, West Virginia and Wyoming. Customers with allergies or sensitivity to wheat, milk or soy should not consume recalled products, but discard them. Consumers with questions may contact the company at (909) 238-5552 from 9am – 5pm, or by email at Support@SarapAsianFusion.com.